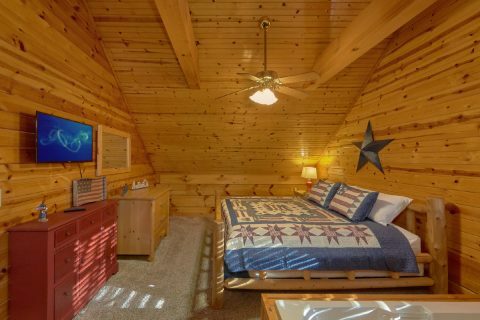 5-Bedroom Cabin Near Gatlinburg with Game Room - "Mountain Time"
Escape to "Mountain Time" on your trip to the Smokies at this 5-bedroom cabin near Gatlinburg. 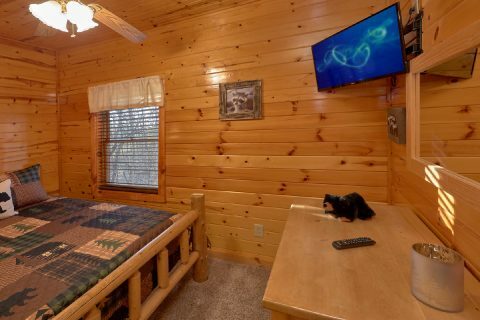 This cabin offers vacationers a chance to enjoy comfortable cabin amenities as well as a convenient location near the Pigeon Forge Parkway. 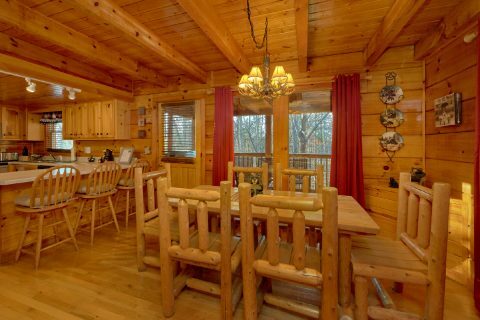 This cabin easily accommodates up to 10 guests with all the features for an entertaining and relaxing vacation. 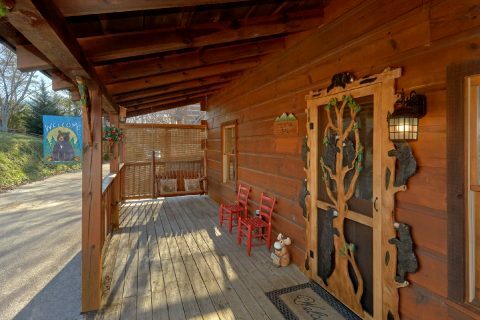 You’ll be only minutes from the action-packed Pigeon Forge Parkway at this cabin. 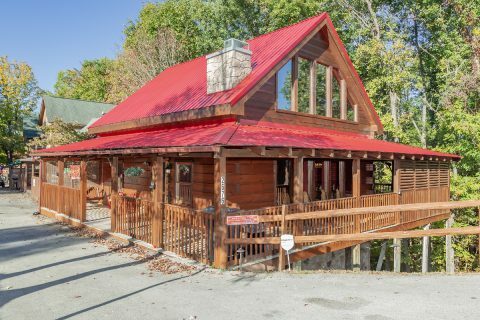 Whether you want to enjoy a round of mini-golf, shop until you drop at The Island, or enjoy delicious dining at area favorites such as The Old Mill, this cabin lets you do it all. 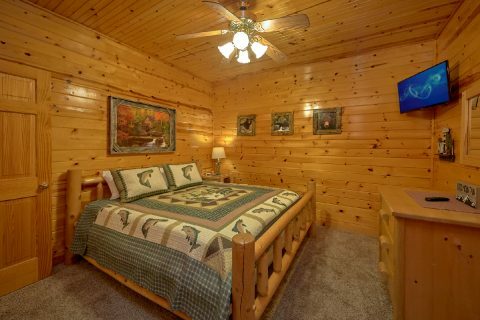 After you’ve had a day of fun in Pigeon Forge, you’ll want to spend some time relaxing back at your cabin. 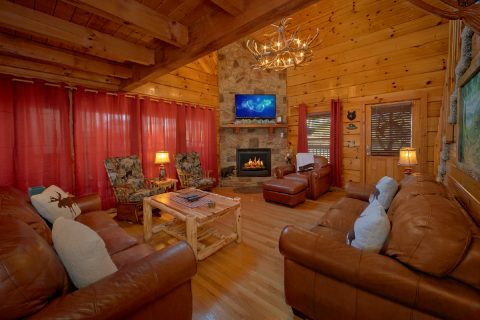 “Mountain Time” provides all the great features of a home away from home and more for you to do just that. 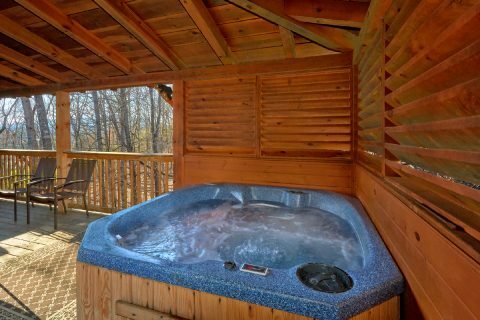 Outside on your deck, unwind in the warm waters of your cabin's hot tub while you listen to the crickets chirp on a summer night. 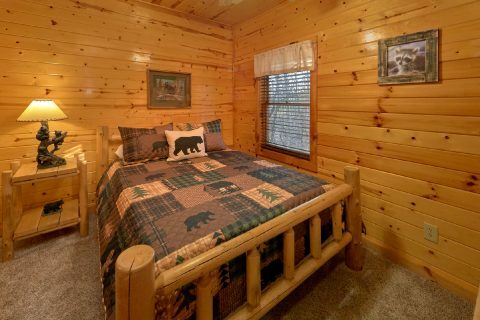 Back inside and through your bear-themed front door, enjoy a peaceful night's sleep in one of 5 bedrooms. 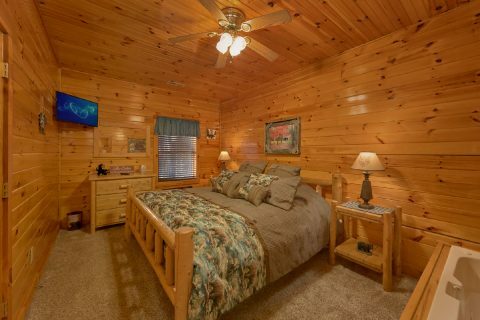 You'll find one king bedroom on the main level that features a TV and full-bath for your comfort. 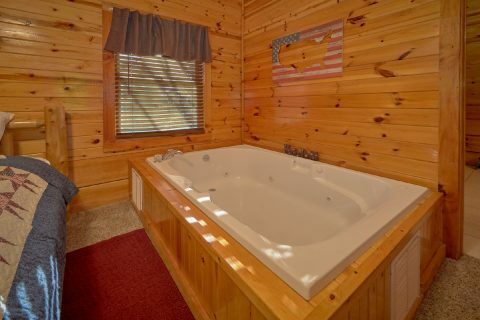 Downstairs, there are two more king bedrooms with a TV and full bath – with one bedrooms featuring a jacuzzi tub for added relaxation as well. 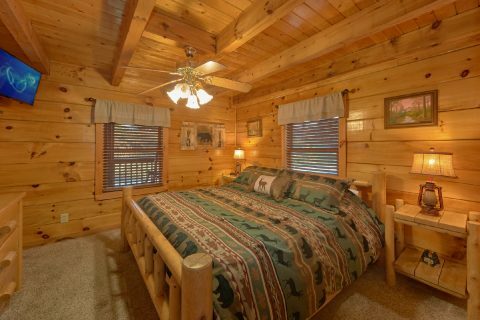 You'll also find a queen bedroom downstairs for additional sleeping space. 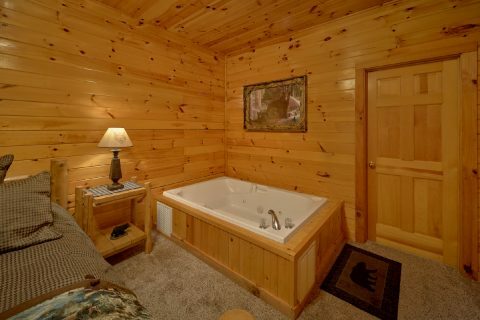 Upstairs, you’ll find one more king suite with a jacuzzi tub, TV, and full bath for a relaxing oasis in the mountains. 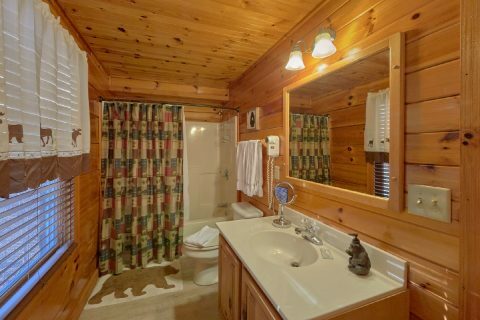 If you want to keep the fun going after your fun on the Parkway, you can also enjoy plenty of features for entertaining evenings in your cabin. 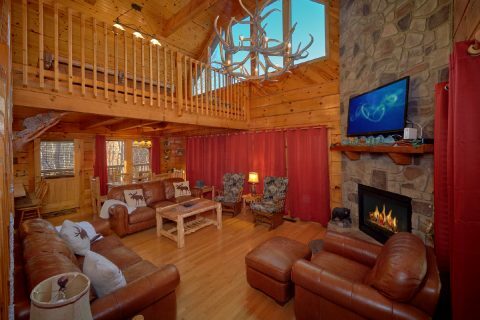 The glow of the gas fireplace in the living room invites you to gather around with good company and hot chocolate in front of its stone mantle. 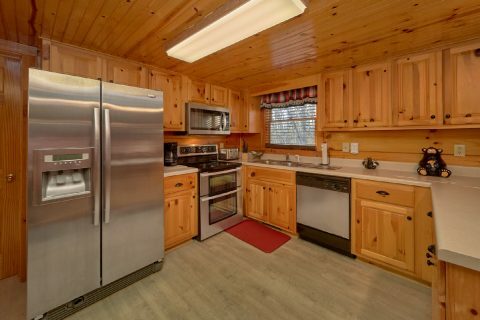 Chat about your Smoky Mountain adventures over great food at the dining table with meals cooked fresh in your kitchen with stainless appliances or fresh off the gas grill. 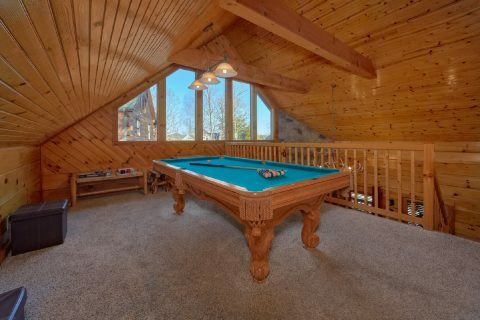 Upstairs, there's game area for kids (of all ages) with the pool table and the sit-down multi-game arcade game. 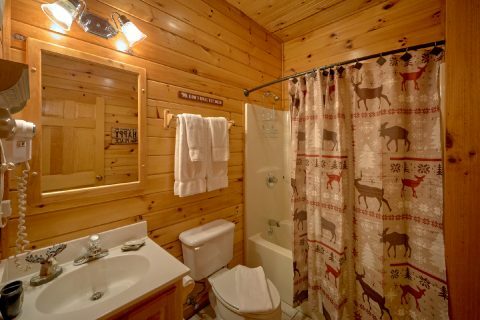 You can also enjoy practical amenities at your cabin retreat that make your cabin stay even more enjoyable. 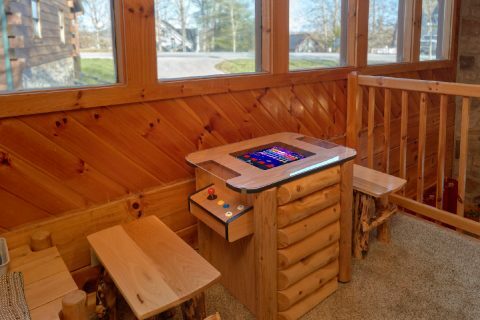 Stream your favorite shows and games and keep up with friends and family back home with your WiFi internet. 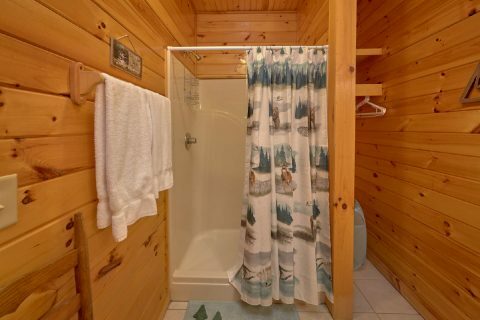 A washer and dryer helps make packing for extended trips a breeze. 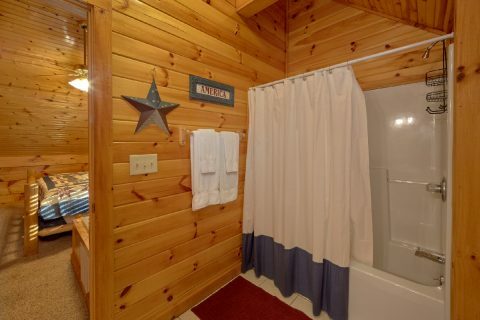 "Mountain Time" rests just down the road from "Up to Nut’n." 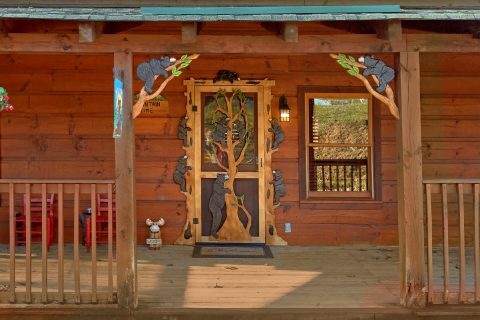 This makes this pair of cabins perfect for groups looking to stay close to each other on vacation. 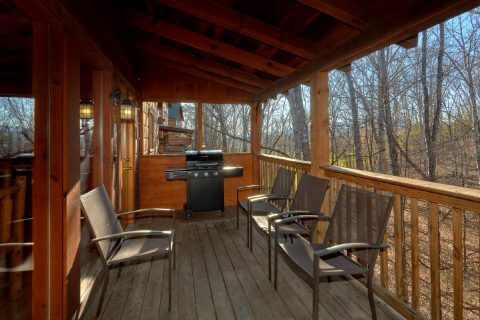 Call our office and we can assist you in booking multiple cabins for your Smoky Mountain getaway. 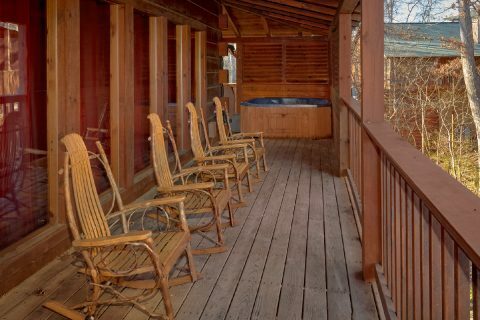 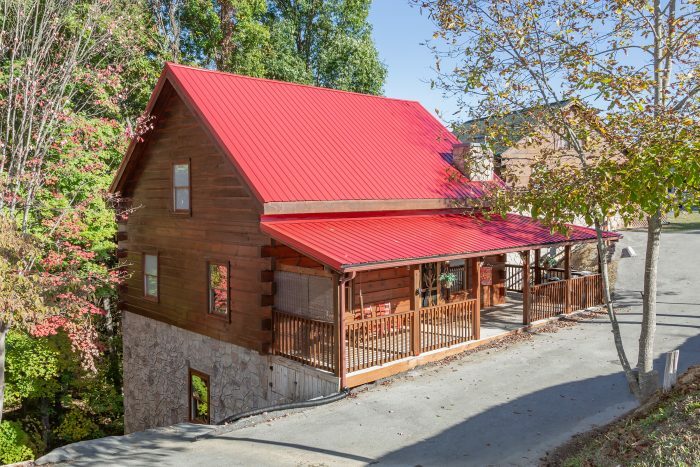 Relax and enjoy some "Mountain Time" at this 5-bedroom cabin near Gatlinburg! 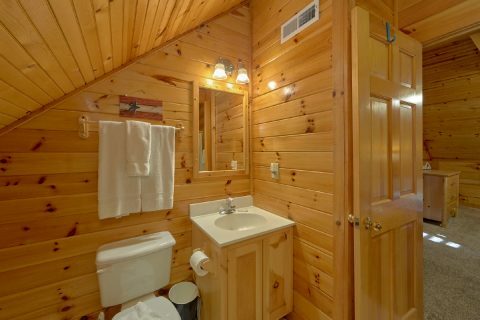 Book online and receive a 15% online discount!